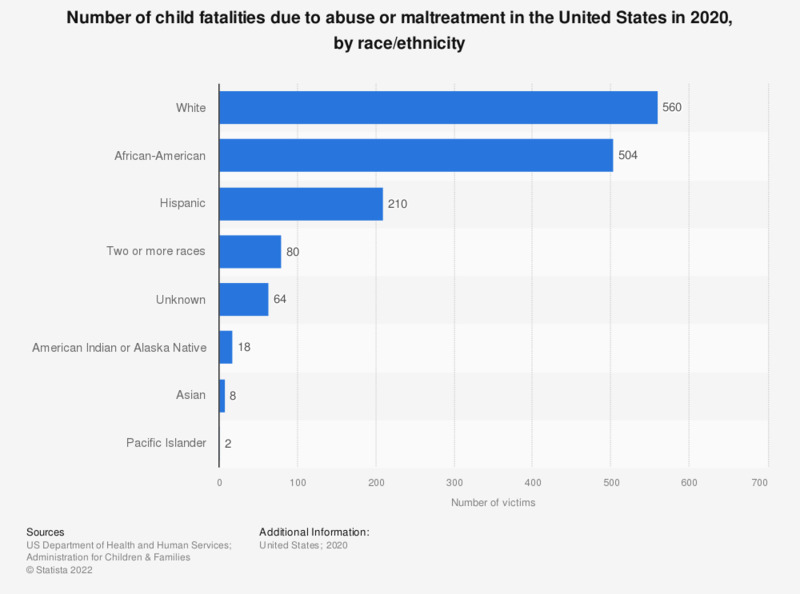 This statistic shows the number of child fatalities due to abuse or maltreatment in the U.S. in 2017, by race/ethnicity. In 2017, around 199 Hispanic children died due to abuse. Values include only those states that reported both victim race and ethnicity.